SK3 Gene Polymorphism Is Associated with Taxane Neurotoxicity and Cell Calcium Homeostasis. Rua C., Gueguinou M. et al. Clin Cancer Res. 2018 Jul 23. Synthesis of Alkyl-Glycerolipids Standards for Gas Chromatography Analysis: Application for Chimera and Shark Liver Oils. M. Pinault et al. Mar Drugs. 2018 Mar 23;16(4). 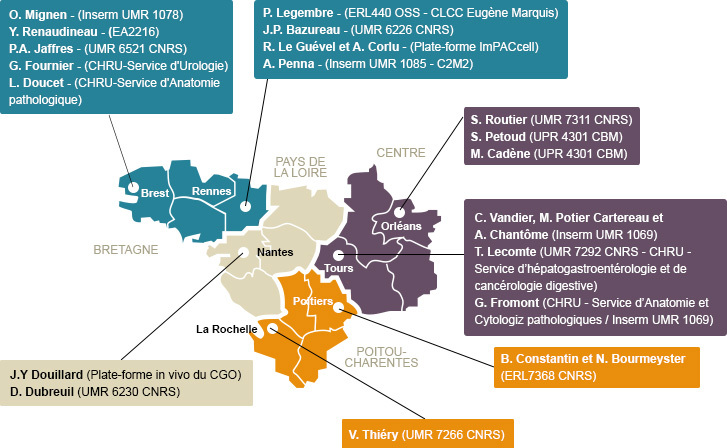 Ion Channel and Cancer network of « Cancéropôle Grand Ouest » (IC-CGO) officially started in December 2012. 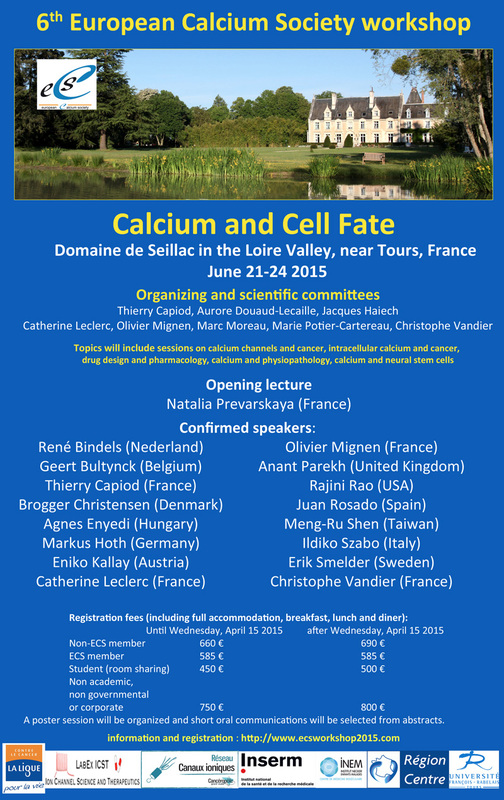 The objective of this network is to structure « Ion Channel and Cancer » research in « Grand Ouest » region (Bretagne, Centre, Pays de la Loire, Poitou-Charentes). This network is composed of 18 partners internationally recognized (including 2 platforms) located in « Grand Ouest » (see map 1). Pluridisciplinarity of members allows transversal, complementary and multidisciplinary research.